Beth and Jennifer know that someone monitors the work email; it’s company policy. But that doesn’t stop them from divulging all their gossip and hilarious observations to each other. Lincoln is the email monitor, which is totally not what he signed up for—he thought being the “Internet Security Officer” would involve building firewalls or stopping hackers. And yet, he finds himself looking forward to Beth’s and Jennifer’s emails. In fact, he starts falling for Beth…but how could he ever possibly explain himself? This book is just clever. Partly written as emails, part story, it’s a fun way to peek into these characters’ lives. And that's just it--they are fantastic characters. 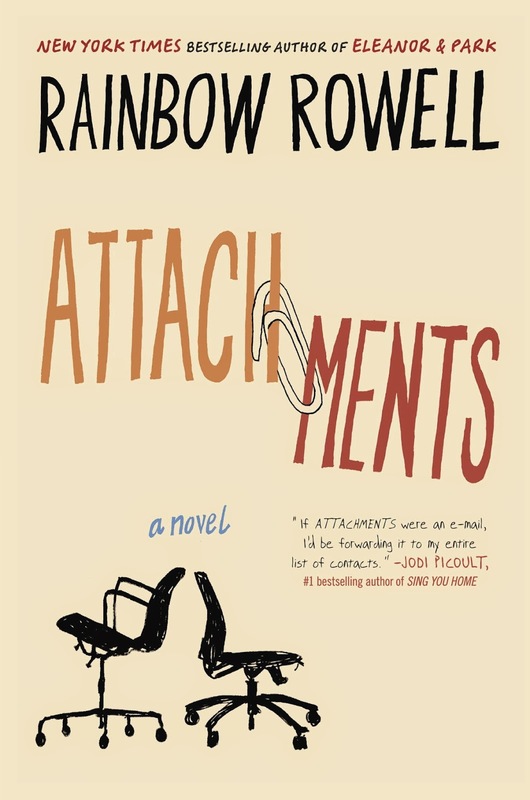 (Obviously—what else would you expect from Rainbow Rowell?) Basically, it’s just a really fun book. Not totally unbelievable or cheesy, but just enough truth to be a realistic romance. I recommend it.